The Chain of Rocks once carried 11,000 vehicles each day. But at 2 PM on September, 1966, the new Interstate 270 Bridge to the north opened. On February 26, 1970, the bridge was closed, supposedly so a hole could be repaired. It never re-opened to vehicles. 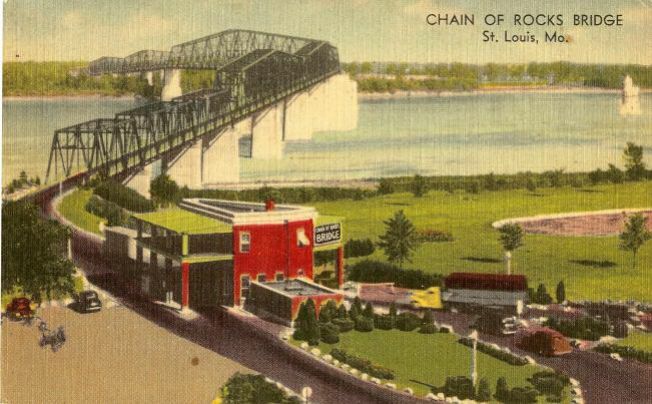 The toll booth was bulldozed into the ravine.